Following a long chain of Pixel 3 and 3 XL leaks as well as real-life photos, here we have a little more information about the camera specifications. The leaker has also revealed some exciting information about the working of the new live wallpapers on the Pixel 3 devices. 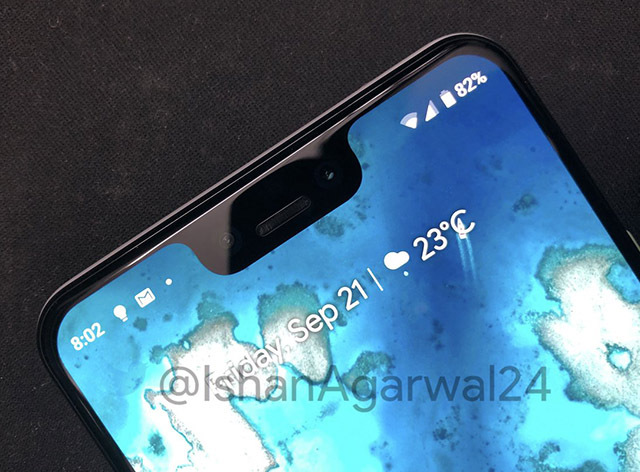 As per the information shared by tipster, Ishan Agarwal, on Twitter, the Pixel 3 XL will feature dual cameras on the front. We already know that but Agarwal also reveals the specification of the two sensors, both of which will be 8-megapixel in resolution. Pixel phones have been known for their impressive photography and part of it has to do with Google’s image processing algorithms backed by the dedicated Pixel Visual Core chipset. To improve that further, Google will be adding an autofocus sensor on the front, and while that may not be an industry first, the feature has been limited to Samsung flagships upwards of the Galaxy S8. The primary selfie sensor will have an aperture of f/1.8 while the second sensor will be a wide-angle fixed focus one with an f/2.2 aperture. These properties should apply to both the Pixel 3 and the Pixel 3 XL. This, however, proves that our earlier speculation wrong, which was about a dual-aperture mode on the Pixel 3, revealed in the smartphone’s leak earlier this month. The rear single camera, on the other hand, will have a resolution of 12.2-megapixels which is the same as last year. Additionally, the camera will capture also 4K videos but it seems to be capped at 30fps, so no upgrade in this department too. 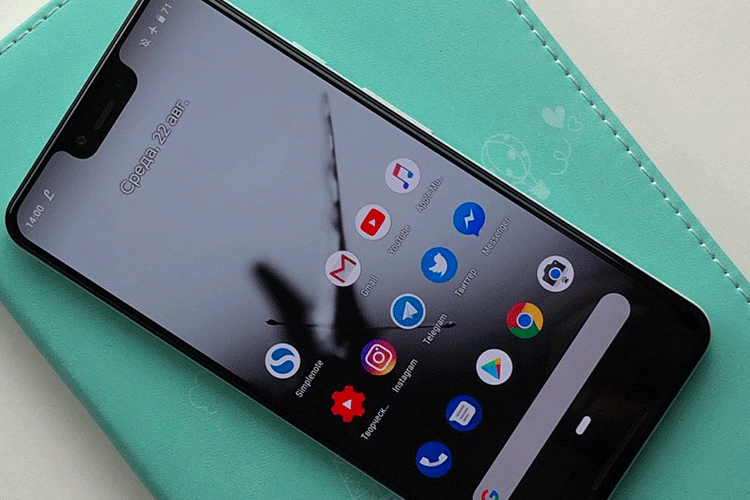 Besides sharing information about the dual front cameras of the Pixel 3 and 3 XL, Agarwal also shared some intriguing information about the wallpapers preloaded on the Pixel 3. These wallpapers are not just animated but respond to activity and interactions, so they are way ahead of the animated beach wallpaper introduced by Google last year. For instance, some of the wallpapers animate automatically when there’s music playing nearby, others have burst or ripple effects when there’s a new notification or the phone is unlocked. Some wallpapers also change color with the passing of the day while a handful of them also tilt and turn as you change the orientation of the phone . These wallpapers are segmented into two categories, namely “Come Alive” and “Living Universe”, so you can choose the best one to suit your personality. The Pixel 3 XL has been leaked relatively more than its smaller sibling, and we’re getting to see more hands-on images again. This leak, too, shows the same notch and there’s a frosted glass back, which we already knew about because the Pixel 3 XL supports wireless charging. The Simply White variant is shown to have a mint colored power button, too, while the volume rocker is the same color as the body of the smartphone. This was also teased in some of the earlier leaks.